Sensitive Sun in Pisces is more vulnerable to other people than detached Moon in Aquarius, but both of these signs share an awareness of universal energies. These two are able to look beyond themselves and appreciate the bigger picture, which can make this an expansive, visionary relationship. 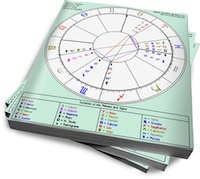 Sun in Pisces is profoundly sensitive, to the point where he can absorb what anyone is feeling. This makes him empathetic, although his partner may become frustrated if he gives just as much to the needy person down the street as he gives to her. Sun in Pisces has the unique ability to feel for everyone, which makes him simultaneously compassionate and slightly impersonal. It’s not so much that he’s detached, but that his intimacy has no boundaries. Moon in Aquarius feels just as strongly as anyone else, but she is able to stand back and observe her feelings. This rational objectivity has (unfairly) given her a rep for being cool and unemotional. Her partner will discover that she can love strongly and steadily, but over-the-top histrionics are not her thing. She’s able to absorb almost anything with calmness, as long as she doesn’t feel forced into a traditional straitjacket. If her lover tries to enforce a domestic routine, or demand that she tone down her quirky habits, he’ll experience her stubbornly rebellious side. Sun in Pisces will appreciate Aquarius’ acceptance of his dreams and half-hatched, idealistic urges. She won’t be too concerned if he’s helping this person or fantasizing about that goal, because she feels everyone should be allowed the freedom to be themselves. Moon in Aquarius will be the steadying influence, supporting Pisces with non-judgemental love if he gets bruised or wanders off course. Together, they can create a truly open, accepting relationship that allows them both to be who they truly are.